Anyone who has suffered from a toothache or impaired vision understands how crucial impeccable dental and vision insurance really is. At Brent Eastman Insurance Services, we fully recognize that everyone has different needs, that’s why we offer different plans to meet each client’s unique expectations and goals. 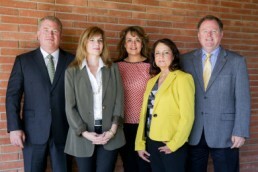 With over 54 years of combined experience in the insurance industry, our team at BEI remains committed to providing superior insurance products and services to our clients in the Monterey, Santa Cruz, and San Benito County regions. Depending on your needs, our dental insurance plans can include preventive care, basic care, major care, and even orthodontics options. Our vision insurance plans includes exam, lense, and frame coverage. Clients are able to choose excellent carriers for their dental coverage and vision coverage options including Premier Access and VSP, respectively. No matter which option you choose or how long you remain with us, we will go out of our way to make insurance both easy and reliable for you. Our dental and vision insurance is 100% employee sponsored, making it easy for employers to find the right plans for their employees. Regardless of the plan you choose, our BEI team offers bilingual services and will always remain your primary point of contact, making it easy for you to have clear communication with us on a daily, monthly, or yearly basis. This allows us to quickly address any questions or concerns that may arise during your time with us. Whether you are interested in dental coverage, vision coverage, or both, our team will walk you through the entire process from start to finish. The BEI team strives to provide you with the best service possible. From navigating through issues like the rising costs of insurance to continually providing you with the best possible solutions, BEI will always go above and beyond to surpass your expectations.